Advances in the efficiency of steelmaking in the 17th century mark some of the most important points on the timeline of metallurgy; the discovery of stainless steel also ranks very high in importance in terms of its implications for industry and commerce. Stainless steel is defined as any steel with a minimum chromium content of 10.5%. Also known as corrosion-resistant steel, the defining feature of stainless steel is its resistance to oxidation, which is also known as rusting. This distinct advantage over low-chromium steel and cast iron, which rusts easily when exposed to the atmosphere, has made stainless steel an invaluable asset to metallurgists, metal fabricators and even sculptors. For example, the Gateway Arch in St. Louis, Missouri, is plated with stainless steel. It can be milled into coils and wire, bars, plates, tubes and sheets and can be used in applications ranging from household cookware fabrication to handgun manufacturing. Stainless steel is also recyclable; it can be recycled without degradation of strength, durability or corrosion resistance. Stainless steel’s versatility and other attractive properties make it a popular fabrication material for an expansive range of industries. 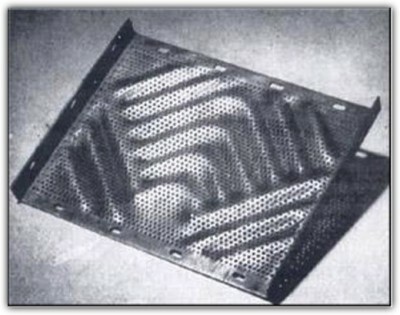 For this reason, many fabrication processes have been developed to accommodate the fabrication of steel products. Stainless steel fabrication typically falls into two categories. The first category is heavy fabrication, which can include the manufacturing of steel parts for large projects like ships and bridges. Light fabrication includes the production of parts for smaller operations like automotive manufacturing and for use in utilities like water tanks. 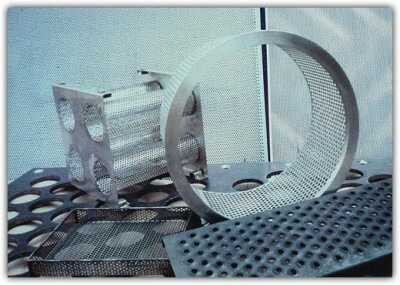 Stainless steel fabrication operations include stamping, cutting, bending, laser cutting, and welding. In some cases, steel can be extruded and even molded, but such processes are rare as steel is a very strong material and requires extreme heat to become pliable enough to be forced through a die or into a mold cavity. More commonly, shaped steel products are roll formed, often into channels or angles for use in construction contexts. Stainless steel can also be formed into enclosures, frames, brackets, panels, grills, cabinets and many more shapes. Stainless Steel Fabricators Stainless steel fabricators manufacture products made from stainless steel. Steel is a carbon-iron alloy (though trace amounts of other elements are often present as additives or imperfections) that has been used by metalworkers for millennia.